Bet Player, Banker, Tie or the pairs side-bet. Full or small screen (pictured) video mode both with roadmap displays & dealer chat. Multi-player (7 seats), 8 deck shoe (re-shuffle at 4), blackjack pays 3:2, dealer stands hard & soft 17. Shown here in full screen high definition video mode. European roulette (single zero streamed in HD quality to an intuitive interface. Standard odds and payouts apply, neighbour bets easily placed. Part of Playtech's 'TV Games' platform. 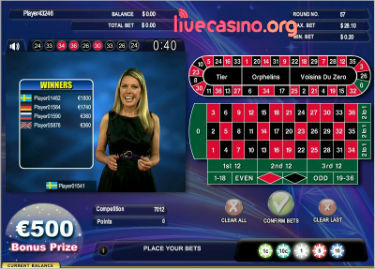 European roulette odds and payouts apply but the game is presented in TV-game (show) format. 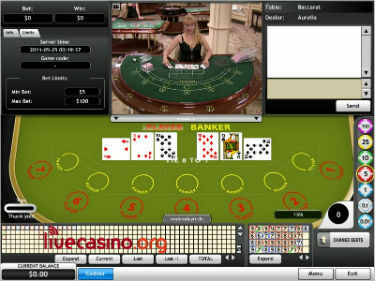 European roulette odds and payouts apply but the game is presented in TV-game (show) format. 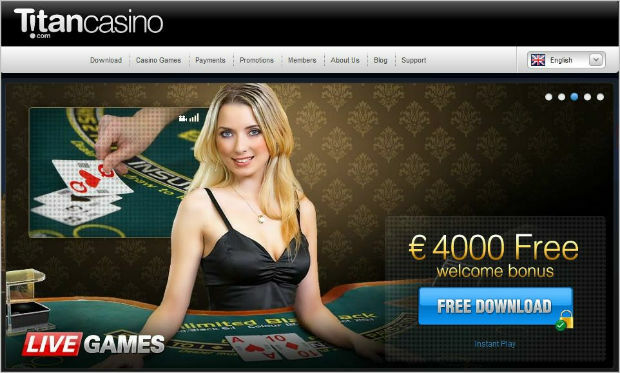 This game also offers an additional bonus (€500) round. While Titan Casino is relatively young, it's operating company (Imperial E-CLub Ltd) is not, launching their first online casino property (Casino Tropez) in 2003. When you first register an account at Titan you will likely be greeted by a member of the support team via a live chat window looking to assist with the registration/deposit /bonus claim process. You may find this annoying or invasive initially (we did) but the bottom line is their support staff are extremely accessible and fast to respond to any issues or queries you may have. They also run a very aggressive bonus program including up to €4,000 for new players in the form of multiple deposit match bonuses.